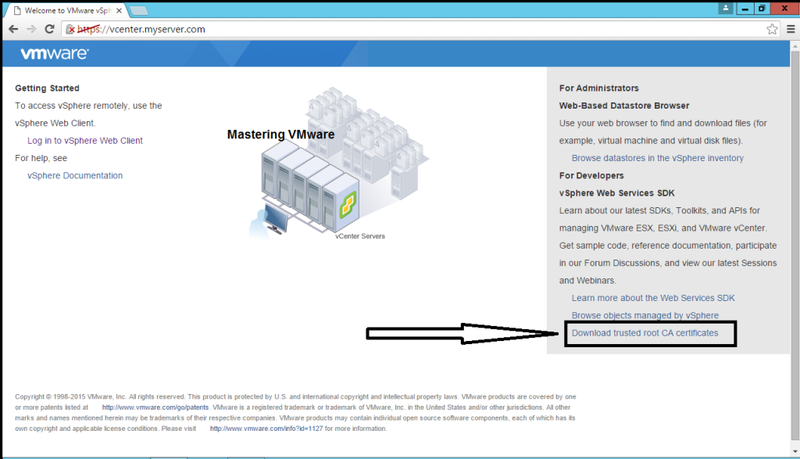 When you access the vCenter server through any browser you will get the security certificate warning. Which appears because of the self-signed certificate. 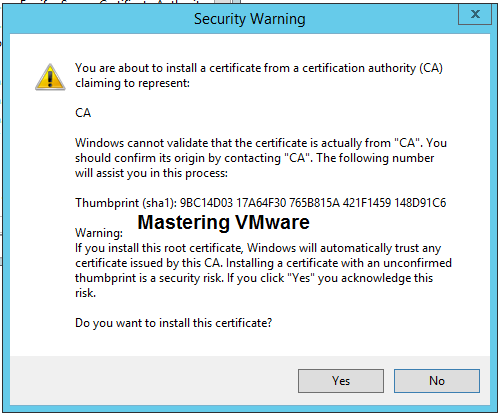 So in this post i will tell you how you can remove self signed certificate warning. 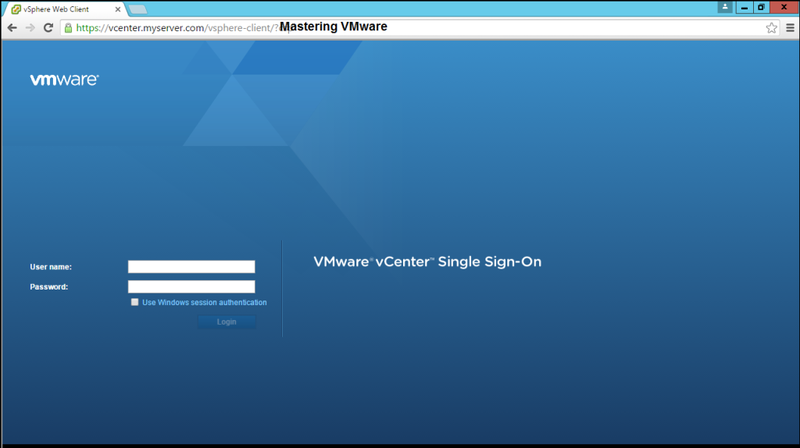 Connect to vCenter Server using browser https://vcenter host name & you will get the warning message saying that there is problem with this website security certificate. Click on “Continue to this website (not recommended)” & you will get below screen. 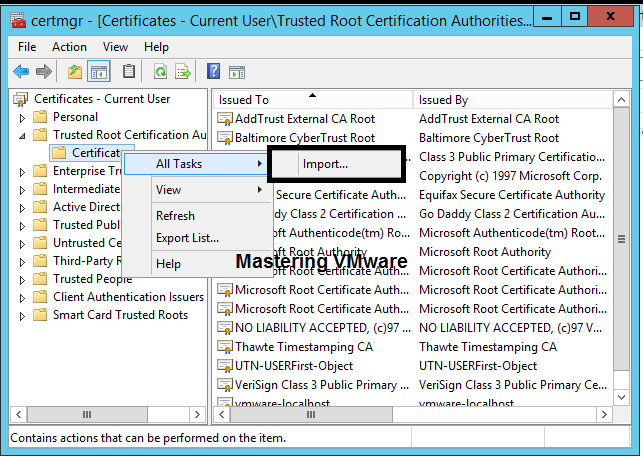 Click on the Download trusted root CA certificate as shown. You will see one file get downloaded. Extract Zip file & you will find 2 files 1one with “.0” extension & one with “.r0” extension. 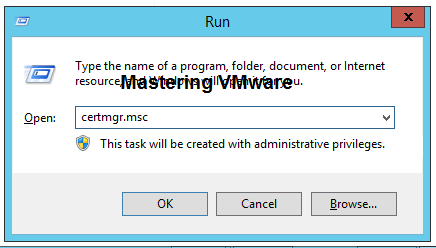 We have to rename the file which has “.0” extension to “.cer” & you will get warning just click Yes to rename the file. 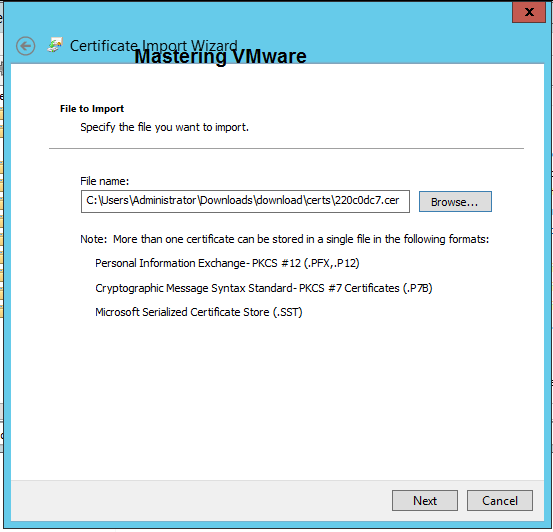 After renaming you fill find file will look like certificate file. 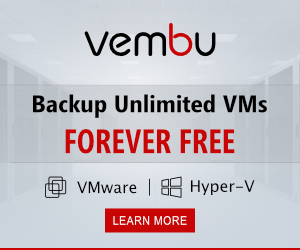 Now open Run with admin privileges. type “certmgr.msc”. 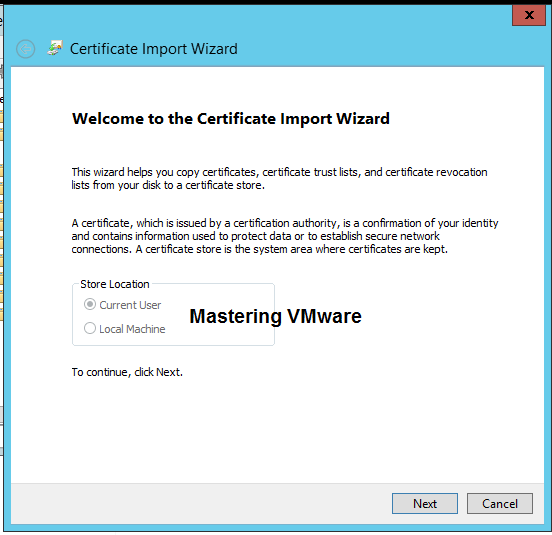 You will get the Certificate Manager wizard. 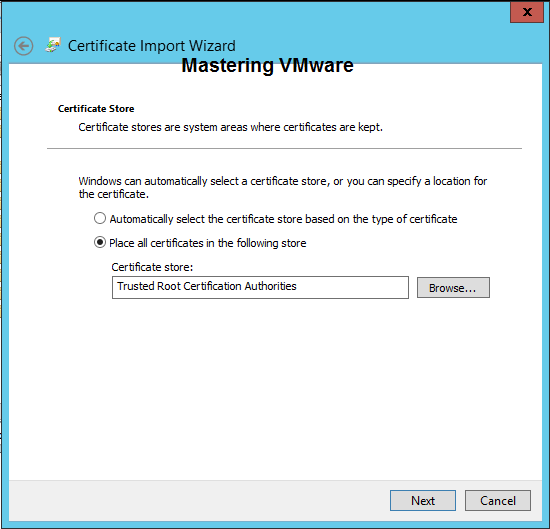 Click on the arrow with Trusted Root Certificate Authorities to expand. 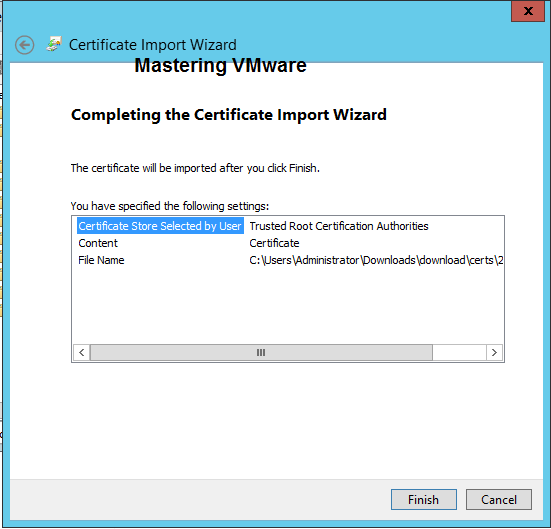 Right click Certificates folder > All tasks > Import. Here Browse the file which we downloaded & renamed & click Next to continue. 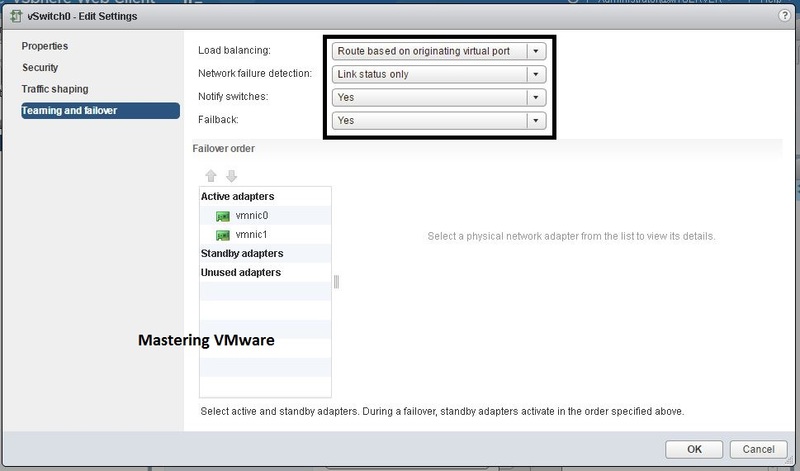 Leave it default & click Next to continue. 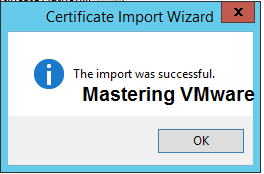 You will get Security Warning to install the certificate click Yes to install & you will get message that Import was successful. 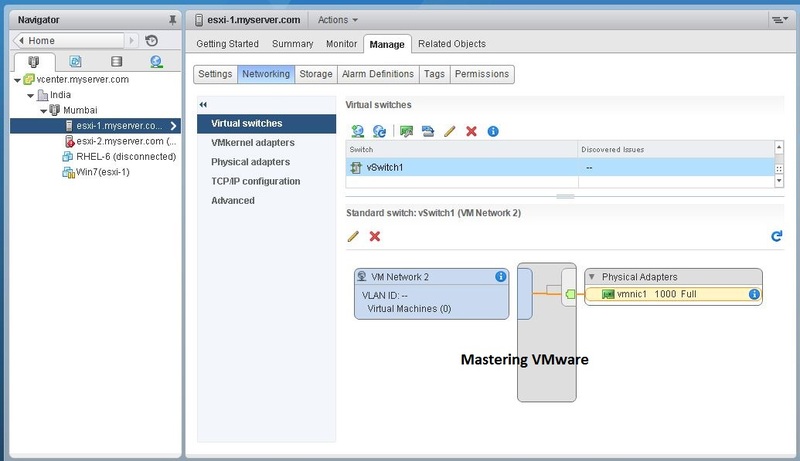 Now Close the browser & connect to your vCenter Server you will find the red bar removed & secured green bar. That’s it you have successfully completed the steps. 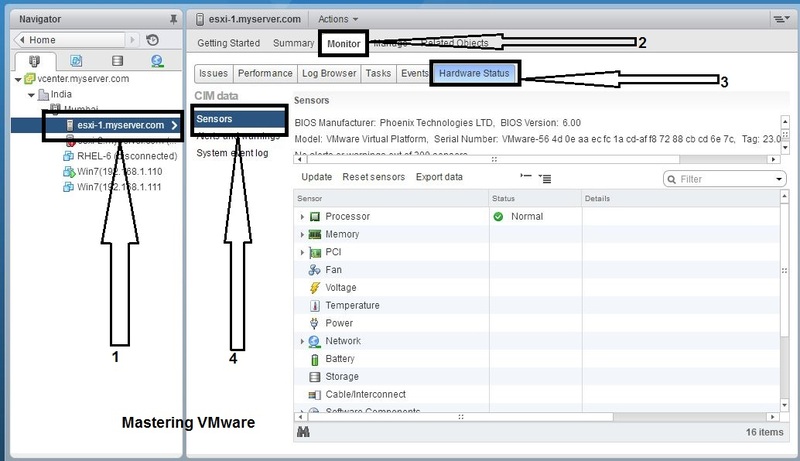 Note:- This is only tested with the vCenter 6. 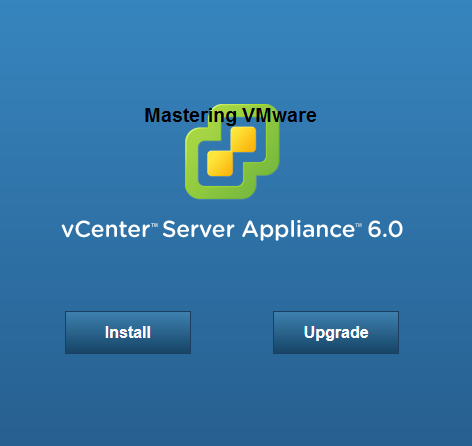 How to Install vCenter Server 6 Step by Step ? 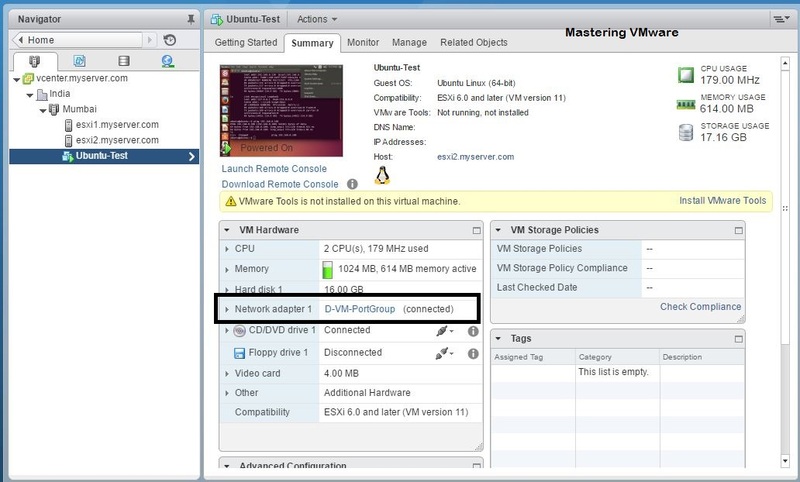 How to Install vCSA 6 Step by Step ? Checkout our Facebook Group for Discussions & More Stuff. Like & Share our Facebook Page for Latest Updates. 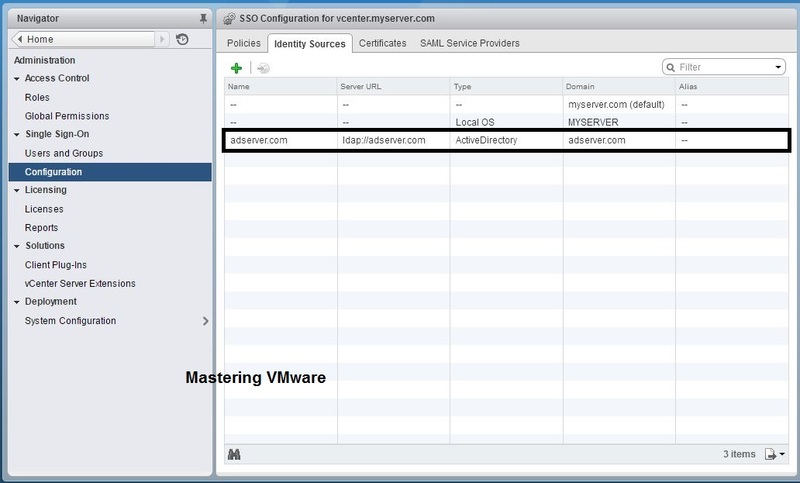 How to Integrate AD with vCenter SSO ? 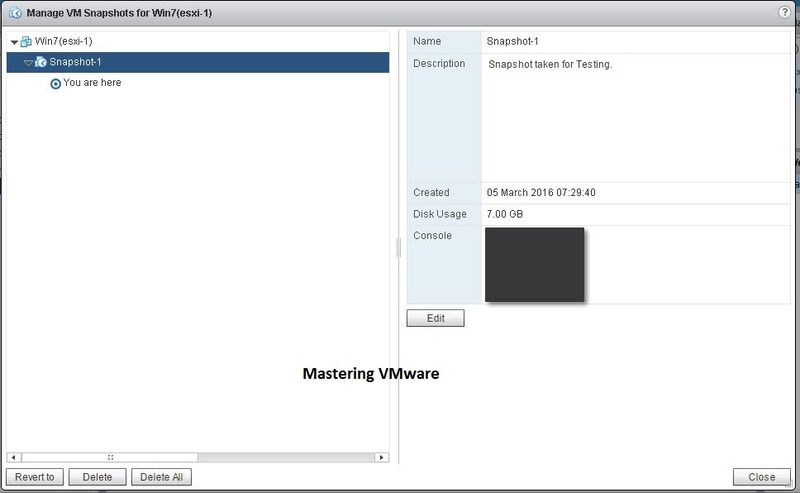 How to Manage Snapshots ?